first for herself, and then her family and her community. it's an experience not to be missed! ​as led and interpreted by our esteemed speakers (noted below). to achieve balance and wholeness on a daily basis. networking with like-minded women and our speakers! BUSINESS OWNERS: We want to showcase your business! Contact us for more information about vendor opportunities! Tressa "Azarel" Smallwood is the Award Winning Publisher of Life Changing Books INC, a movie producer, author, speaker and owner of TressaAzarelVIPclub.com, an organization that inspires women through knowledge and mentorship. In 2003 she resigned from her teaching tenure to fulfill her dream of becoming an entrepreneur. Within two months after writing her first novel she raked in over 40K in sales, and has since then turned her knowledge in a multi-million dollar empire. Now with over one hundred forty titles published in print to date and even more digitally, Life Changing Books, more lovingly known as (LCB) has transitioned into the movie industry. A lover of books and media, Tressa brings the specialty quality of merging her ability to teach others how to write and publish like a pro while building a media based company from ground up. When she’s not mentoring the youth through her entrepreneurship program, she spends most of her time reviewing scripts and handling the creative process to build the companies film catalog. To learn more about Tressa, click here . Monica Dennis, RN, MS, CNE is a Certified Holistic Health and Wellness Coach! 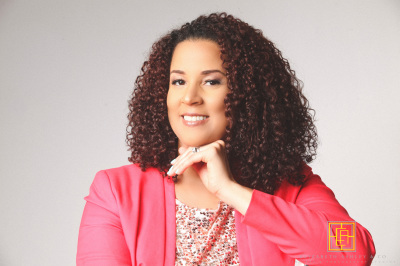 She founded and started Monica Dennis Health & Wellness with the vision of empowering and inspiring others to be the absolute Best Versions of themselves! Her mission is to enlighten and educate our communities with tools to happiness, good health and success. Monica teaches a step by step process to living a Heathy Lifestyle with Ease! As a wife, mother of two teens, business owner and with 7 years experience as a Registered Nurse, she understands first hand the challenges with managing chronic illnesses not resolved with conventional medicine along with juggling a healthy lifestyle, a career and family. Monica’s passion is helping busy men and women achieve their health goals naturally through the strengthening power of clean eating, herbs, meditation and fitness. Her holistic practice provides her clients with customized weight loss programs, mind & body cleanse programs, assist with reducing food and sugar cravings, increasing energy and managing stress. She is a graduate of University of Maryland, where she received her Masters in Nursing, and also attended The Academy of Culinary Nutrition where she received her certification as a Culinary Nutrition Expert. Learn more about Monica here . Terry W. Spicer is the founder and CEO of Epiphany Public Relations of North Carolina,a global full service public relations agency based in Raleigh, NC. Terry, along with her husband, Stacey Spicer, is the Co-Founder and Executive Director if The Sisters Inspiring Sisters, Incorporated, a 501c3 charity that provides transportation assistance to cancer patients to get to medical appointments, chemotherapy or radiation treatment toward survivorship. Our slogan is "Transportation Assistance Across the Colors of Cancer." By year end 2015 , The SISI helped 800 cancer patients in 90 of 100 counties in North Carolina, SC, VA, TN, MD, IL and OH. Terry also has The SISI Small PEARLS Apprenticeship Program™, which is an exciting initiative that provides girls ages 7-17 with an invaluable and intensive learning opportunity of working with teams of diverse professionals to develop their interpersonal skills, leadership abilities and equip them with tools for living and transitioning successfully through their academic endeavors directly benefiting the overall value of their lives at all levels. A portion of the ticket proceeds will be donated to The SISI! For more about The SISI, click here . India K. Robinson, "The Spa Bunny"
India K. Robinson, is CEO/President of The H.I.S Agency, LLC, which focuses on creating VIP experiences to restore the mind, body, and soul. Known as the ultimate event planner, travel expert, and spa guru, India has a natural talent for organizing and hosting the best in themed events, social gatherings, luxury destination travel, and spa/wellness getaways. 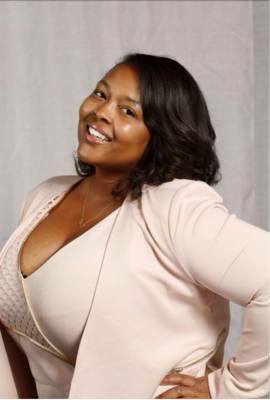 Balancing a busy life as public administration professional, entrepreneur, writer, pet parent, and caregiver, India was inspired to create “Confessions of a Spa Bunny” over 2 years ago. What started as video “confessions” and blog posts to educate individuals on the benefits of spa by highlighting different treatments, products, and experiences from around the world, quickly turned into a social spa movement with hosted wellness “time-out” events, retreats and trips, personalized spa concierge services, spa-industry media coverage, and individual wellness coaching and consulting. Affectionately known throughout the spa industry as the “spa bunny”, India bridges the gap between spa, consumer, and resource partners. She loves to educate and coach others on how one can incorporate self-care rituals into their lifestyle for reducing stress, finding balance, increasing happiness, and improving overall wellbeing. 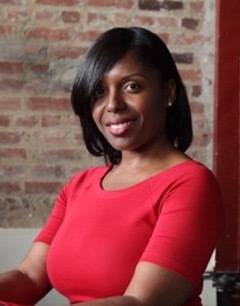 India is a native of Washington, DC and holds a Master in Public Administration from American University. She is an active member of the International Spa Association (ISPA), Washington Spa Alliance, and Wellness Warrior. Rhonda C. Hicks is a wife, mother of two, corporate IT professional, entrepreneur and cancer survivor. 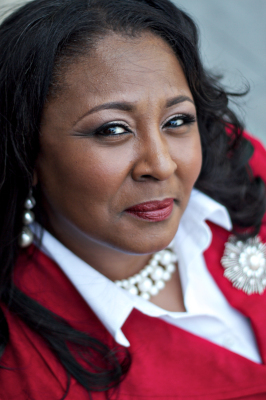 In November, 2009, Rhonda launched her first entrepreneurial venture – Amazing Grace Event Management. Over the past six years, she has had the opportunity to plan and manage events spanning from milestone celebrations and weddings to small business and large corporate tradeshows on both a national and international scale. Her latest venture, Project She™ , is her personal passion. Because she lives the life of a busy wife, mommy and business woman, Rhonda understands the challenges and stressors that can be overwhelming on a daily basis. This project was born out of those experiences and it is her hope this forum will serve as a place for women to support one another in the name of encouragement and positivity through the powerful bond of womanhood. Rhonda is also the president of the Raleigh-Durham Chapter for the National Association for Professional Women (NAPW), which is the largest women’s networking organization in the country. She is a member of Delta Sigma Theta Sorority, Inc. whose main thrusts are Sisterhood, Scholarship and Service. Find out more about Rhonda here .